Taking things back to the origins of the iconic Air Max 1, Nike present the ‘By Day/By Night’ pack. 1987’s famed OG Red release gave us all quite an eyeful when it first hit the shelves. The Air Max 1 was the first shoe to feature a visible air unit, a transparent bubble where you could actually witness the technology at work. ‘Air’ had been present inside the midsole’s of several of Nike’s releases in the years previous (notably introduced in the Tailwind in 1978) but this was the first time you were able to experience it with your own eyes. 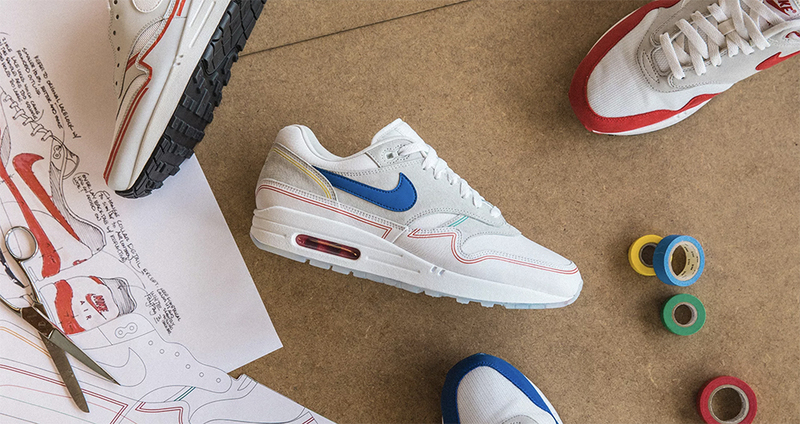 The story goes that designer Tinker Hatfield drew inspiration from the eccentric Centre Pompidou in Paris, where the clear architecture allowed you to see the inner workings of the cultural destination. 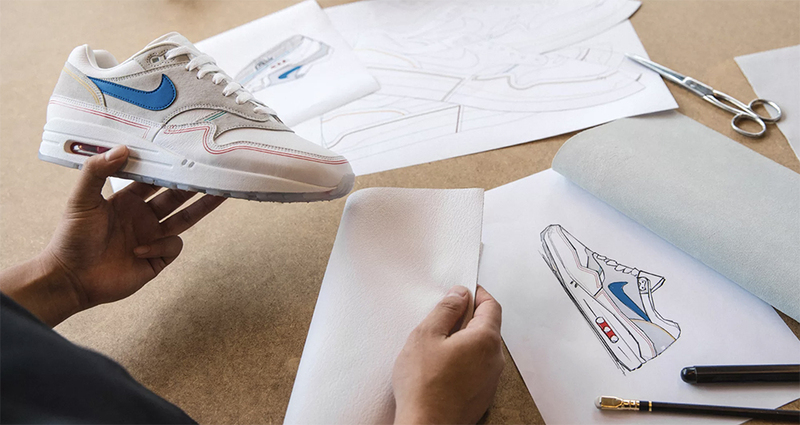 His architectural past chimed with this idea, and the aesthetic of the Air Max 1 was born. Paying homage to the legacy of the Centre Georges Pompidou, elements of the building have been channeled into this latest release. 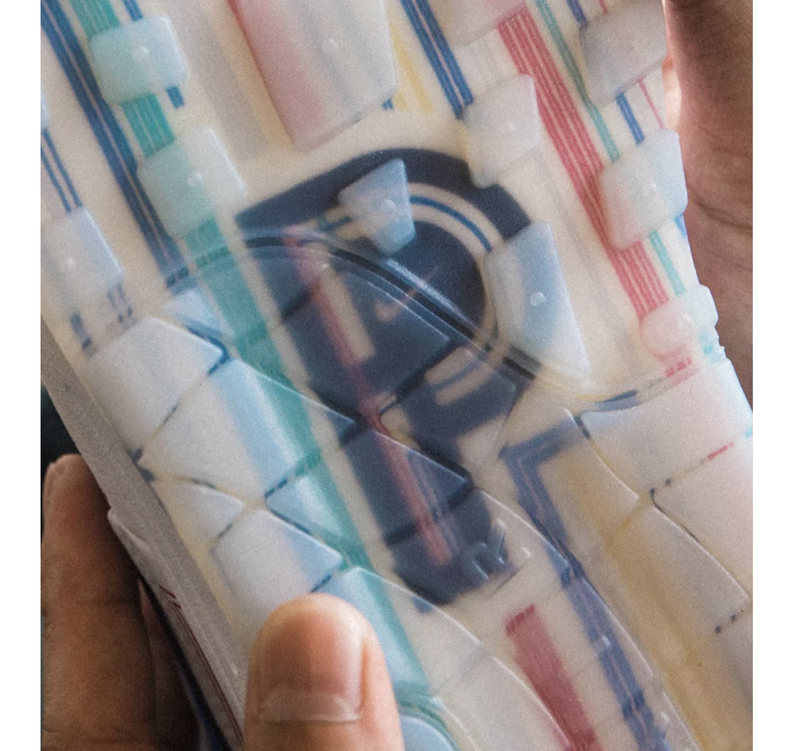 The ‘By Day’ release features coloured pipes that run around each panel, with the red and blue nodding to the foundation colours of the Air Max 1.Underneath, a translucent outsole features a specially created ‘triple P’ graphic, signifying Paris, Pompidou, and Pipes. The Nike Air Max 1 ‘By Day’ will be available via the size? previews app and in selected size? stores on Thursday 20th September, priced at £130. Previous Post Previous post: Carhartt WIP A/W ’18 Collection at size?